Lucille Green Cooper, 97, of Wake Forest, died Thursday, February 7, 2019 at her home. 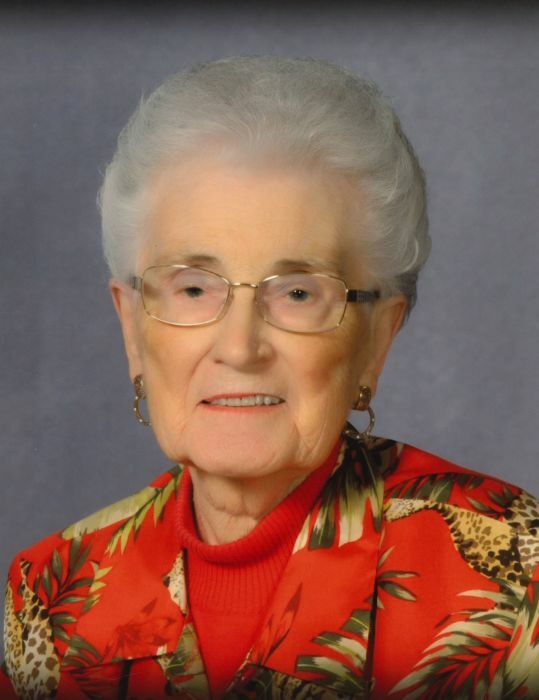 She was born in Franklin County, the daughter of the late Henry M. Green and Pearl Estes Green and was a member of Youngsville Baptist Church where she served as a deacon. Funeral services will be held at 2 o’clock Saturday afternoon, February 9, 2019 at Youngsville Baptist Church, 315 E. Main St., Youngsville, NC 27596, with the Rev. Charles Stratton officiating. Burial will follow in Pine Forest Memorial Gardens. Mrs. Cooper is survived by her daughters, June Bonnette of Youngsville and Myra Bradley and husband, David, of Newport; sons, Robert Cooper and wife, Betty, of Wake Forest and Randall Cooper of Wake Forest; grandchildren, Monica Ford and husband, Derek, of Wake Forest, Rob Horton and wife, Leslie, of Youngsville, and Lauren Bradley of Morehead City; great-grandchildren, Emily, Dylan, and Ashlea Ford and Brantley Horton. She was preceded in death by her husband, Robert M. “Bob” Cooper. Flowers are appreciated or memorial contributions may be made to Youngsville Baptist Church, P. O. Box 297, Youngsville, NC 27596. Friends may visit with the family from 7-8:30 Friday evening at Bright Funeral Home & Cremation Center, 405 S. Main St., Wake Forest, NC 27587. (919) 556-5811.